Only 100 metres from the beach, Corona Roja offers studios and apartments with balconies located just outside the centre of Playa del Inglés. 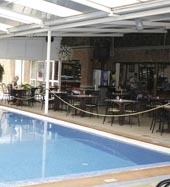 It features indoor and outdoor swimming pools, and a restaurant. 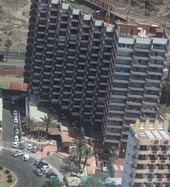 Each simply decorated apartment and studio at Corona Roja has satellite TV, a sofa and a kitchenette with a fridge. You can enjoy international cuisine in the Roja’s restaurant, which offers buffet and à la carte options. Sports facilities at the Corona Roja include tennis courts, a football pitch and a pitch-and-putt. Playa del Inglés’ beaches, restaurants, bars and cafés are approximately 300 metres away. San Fernando can be reached in 15 minutes by foot and buses stop nearby.